You cannot avoid it but that doesn't mean you can't work on minimizing the effects of jet lag! Here are 8 tips to help you. Despite all the greatness and comfort the technology has brought us while traveling, there is still one thing we cannot cope with ease when we are to change time zones. I know you know what I am talking about. The internet is filled with articles all of which have got headlines such as, “the ultimate way to cure the jet lag!” or “how to avoid jet lag with these 9 tips”. Travel books and our friends have a got a lot of tips that are said to conquer jet lag, too. I know because I have been there; before my first trip from Istanbul to New York, I went over hundreds of internet pages that suggested the best ways to overcome jet lag, turned the pages of the travel guides and listened to my friends’ who have changed time zone while traveling. Let me start by telling you that there is no such a thing: There is no “ultimate way” to beat the jet lag. Not because the tips listed are not useful but because everybody’s inner clock works differently. There is no pill you can take to diminish the effects of a 14 hour flight made on your body. There is no certain answer to the question of “how long does jet lag last?” It depends; depends on every individual’s body routine. Accepting the fact that you may have the symptoms of jet lag, including the fatigue, headaches, disturbed sleeping patterns and even diarrhea or constipation and being prepared for them is a good way of starting to lessen the effects. Still, accepting jet lag as it is doesn’t necessarily mean you are going to let it beat you up. Especially when you are going to attend loads of meetings, make an important presentation during your conference or network with colleagues during a tradeshow or a fair. You can get help from these tips to minimize the effects of the jet lag. Changing your daily routine’s key points’ time according to the time zone you’ll be travelling is a wise thing to do. Do it gradually if you can. You can try changing your bedtime by an hour prior to your trip. If you can, you may try to do the same thing for your eating times, too. The moment you step on the plane and find your seat, reset your watch according to the time of your destination. This is a psychological treat for the brain which will eventually help you to put your body clock together. This is one of the most popular tactics to trick your body clock. Since the food on board will be served according to the time of your departure point, you may be feeling like having a breakfast when it is 8:00 P.M in your arrival point. Having a cocktail on board seems like a brilliant idea to fall into sleep or shake the stress away of a long flight. However, since altitude changes and cabin pressure may quickly change the effect of the alcohol on your body, the Margarita that was supposed to be enjoyable on the clouds, may end up giving you a headache. You don’t want to deal with hangover when you are under the effect of the time zone tiredness, do you? Replacing the Margarita with a cup of coffee if you want to stay awake during the flight is not recommended. 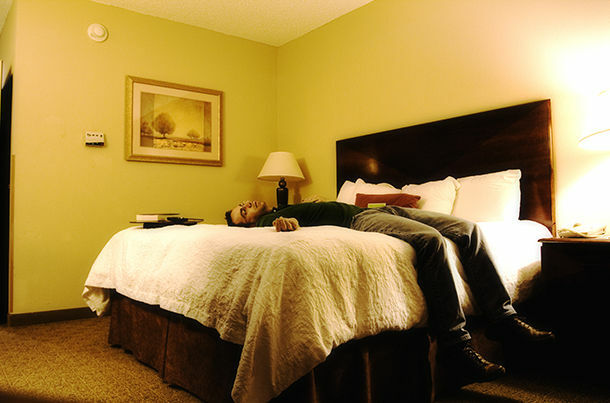 Even if you’ll land sometime in the in the evening and all you have to do is to reach your hotel and enjoy your king size bed once you arrive in your destination. Caffeine will not only dehydrate you but also will trigger the jet lag. Sleeping pills; should you really take one? Well this depends on the time you’ll be flying and yourself of course. Some experts see no harm in taking sleeping medicine if you are familiar with the effects and if you have consulted your doctor in advance. However, a cup of chamomile tea will also make your eyelids heavier without having to taking a pill. Try that. Drink water. Lots of water. Cracked lips may seem to be the only result of the change of altitude and cabin pressure. Believe us, it is the only visible one. Drink water to minimize the effect of the flight and the effects of the jet lag that awaits you at the airport. If it will be morning or noon when you arrive your destination, try to complete the day without getting a 4 or 5 hours sleep in your hotel. Don’t push yourself too much, though; try eating a light meal, spend time with activities that doesn’t require much energy. Then when it is night, sleep a bit earlier than usual for your anchor sleep. The extra time will be for the tiredness and your upside down body clock to turn back to normal.